When Ryals Sexton was diagnosed with a potentially life-threatening heart defect, his parents turned to a new research consortium that offers groundbreaking treatment for hypoplastic left heart syndrome. 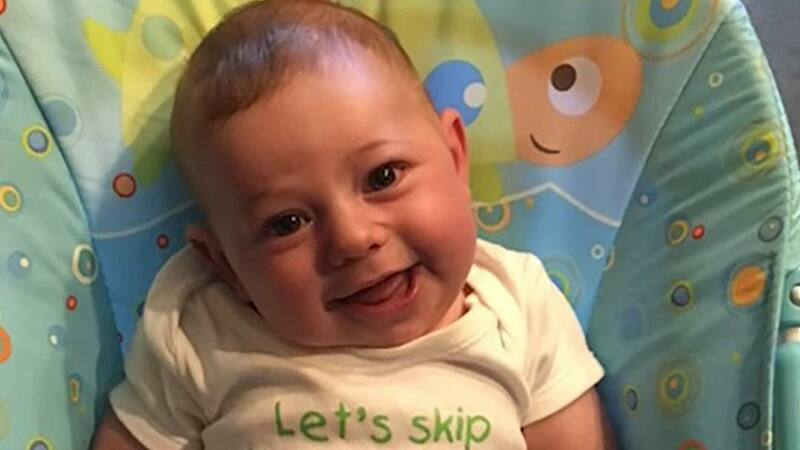 Ryals Sexton, an infant from Alabama, was one of the first to benefit from the work of a new consortium that's helping babies across the U.S. with the rare congenital heart defect hypoplastic left heart syndrome, often called HLHS. "He's amazing. He is the strongest little boy," Ryals' mother, Andrea Sexton, says. "If you were just looking at him, you'd never know anything was wrong." Andrea and her husband, Heath Sexton, hardly dared to dream of such a positive outcome when Ryals was diagnosed with the heart defect while still in the womb. But thanks to a groundbreaking clinical trial of an innovative regenerative therapy, that involved doctors at Mayo Clinic and Children's Hospital of Philadelphia, the Sextons have what they feared they never would: a sense of normalcy and a chance to dream about Ryals' future. "I see college. I see happiness, and I see my boys playing together. I see a happy family," Andrea says. "And I believe that this work, this research that these doctors have put hard work into, is going let us achieve that." Ryals was diagnosed with hypoplastic left heart syndrome during an ultrasound while Andrea was pregnant. In children with this condition, the left side of the heart is severely underdeveloped. The result is a heart with only one lower chamber that works properly — the right ventricle — and a small ascending aorta. In a heart that develops properly, the right side pumps blood to the lungs, while the left side pumps blood to the rest of the body. In newborns with HLHS, the right side of the heart has to pump blood to both the lungs and to the rest of the body. Without treatment, the condition is fatal soon after birth. "Coming home from the hospital, we were wondering, 'How is this going to change our lives?'" Heath says. "Obviously the child would need a lot of help, maybe a lot of long-term help. And then, in the back of your mind, you've read that a lot of children don't make it past 3 months. So we were just thinking, "Am I going to be preparing for a funeral?" The Sextons decided to leave their home in Alabama and seek care for Ryals at Children's Hospital of Philadelphia, one of the leading centers for HLHS treatment in the nation. There they met Joseph Rossano, M.D., a pediatric cardiologist who heads up the hospital's Division of Cardiology. He told them about treatments now available to help babies with this condition. "Prior to the 1980s and '90s, there were essentially no good surgical options for these patients," Dr. Rossano says. "But a number of very innovative surgical techniques were developed that have allowed many of these children to survive and thrive." Children born with hypoplastic left heart syndrome go through a series of three surgeries to create normal blood flow into and out of the heart. The first surgery comes within days of birth. The second surgery generally occurs three to six months later. And the third surgery usually is performed about three years after that. The surgeries allow children with hypoplastic left heart syndrome to live relatively normal lives, but the treatment isn't perfect. Having the right side of the heart perform the tasks normally handled by both sides of the heart puts tremendous stress on the right side. As people with HLHS age, doctors are realizing that, in time, many of their hearts are unable to continue to function on their own. Some need a heart transplant. But Andrea Sexton found out about a clinical trial at Mayo Clinic aiming to solve that problem. She set up a phone interview with Timothy Nelson, M.D., Ph.D., a Mayo Clinic physician-scientist who specializes in cardiac regeneration for congenital heart disease. "He was amazing," Andrea says. "He gave me hope." As director of the Todd and Karen Wanek Family Program for Hypoplastic Left Heart Syndrome at Mayo Clinic's Rochester campus, Dr. Nelson leads a team of approximately 60 people who research and conduct clinical trials for new HLHS treatments. "The program has a mission to recreate the right ventricle to make it bigger and stronger," Dr. Nelson says. "So we're finding ways of inventing new therapies to make that right heart stronger by stimulating the growth of the heart muscle. If we make it strong enough, we believe that has a shot at delaying and preventing transplant for a significant number of these children." "The program has a mission to recreate the right ventricle to make it bigger and stronger." — Timothy Nelson, M.D., Ph.D.
To reach that goal, Dr. Nelson's team developed a clinical trial that used umbilical cord blood from the baby's own body. When a baby is diagnosed with HLHS in utero, cord blood is collected at birth as part of the clinical trial. The blood can be obtained anywhere in the country and shipped to Mayo Clinic, where it is processed and then frozen for three months until the child has the second surgery. At that time, stem cells from the cord blood are delivered directly into the heart muscle. "The hope of this is that it causes a fertilizer type of an effect, where these cells are able to fertilize the right ventricle muscle and allow it to grow bigger and stronger because it's received this cell-based therapy," Dr. Nelson says. On May 4, 2017, Dr. Nelson and his team, who traveled to Children's Hospital of Philadelphia to deliver Ryals' stem cells, looked on as a surgeon injected the cells into the baby's tiny heart near the end of his second operation. After several tense hours of waiting during Ryals' surgery, his parents were emotional and relieved to hear all went well, and that there were no problems injecting Ryals' cells. To Dr. Nelson, Heath said, "I felt like we had a superhero come in on this jet plane, and he had this box of super-cells. And it felt like you were coming to save my son." To expand their research and help more families, in 2017 the team at Mayo began creating a hypoplastic left heart syndrome research consortium. "The consortium represents our ability to take the science and technology and teams of people to other centers of excellence," Dr. Nelson says. "That allows us to interact with more families at more locations." Children's Hospital of Philadelphia joined Mayo Clinic as the first member of the consortium, and Ryals was the first patient to benefit from it. Within a few months, Children's Hospital of Los Angeles became the third institution to join the consortium, followed soon after by Children's Minnesota. The value of the group's work can be seen clearly in the Sexton household. Andrea and Heath were able to bring Ryals home to Alabama. The couple is enjoying renewed confidence for what lies ahead, envisioning Ryals growing up, having a career and starting a family. "The hope is that he can see his grandchildren," Heath says. Ryals continues to need follow-up care to maintain the health of his heart. But now, instead of fear and worry filling the Sextons' home, a baby's laughter does. Read about the Todd and Karen Wanek Family Program for Hypoplastic Left Heart Syndrome.